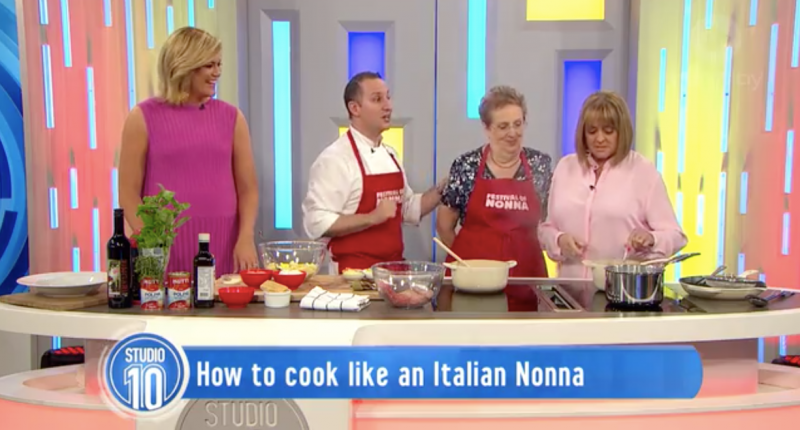 Festival Of Nonna chef Luca Ciano and his mother Annita were delighted to accept an invitation from Studio 10 last week to visit the studio. 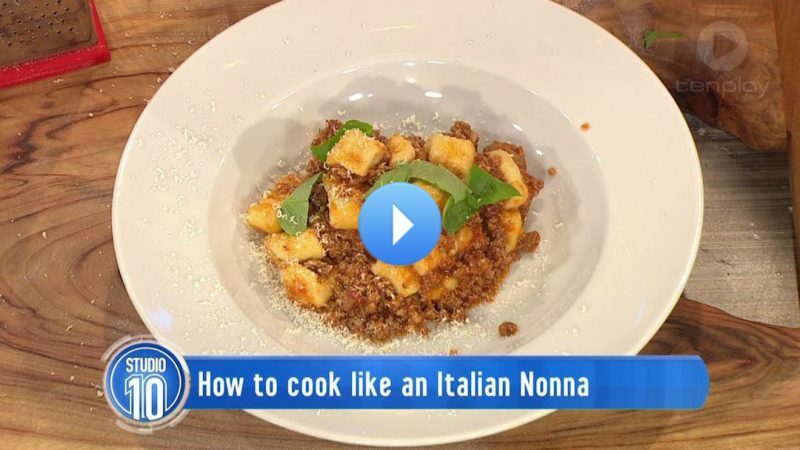 Luca and Annita cooked Gnocchi for everyone, this dish is just one of the dishes to be featured on this year’s menu. Click on the image image below to watch Luca and Annita in action.